Alerted by fellow lobbyist Joe Rohlator, a long-time fishing guide and activist, I learned that Senator Betsy Johnson introduced a legislative resolution honoring Tom McAllister. The Senate Concurrent Resolution was introduced by Senator Johnson. Her family owns the land at the Head of the Metolius and where in proximity just downstream, Tom and Barbara McAllister built a cabin and where their ashes now rest midstream. Senate Concurrent Resolution 23 was heard in the Oregon Senate Veterans Affairs and Emergency Preparedness Committee on Wednesday March 13. 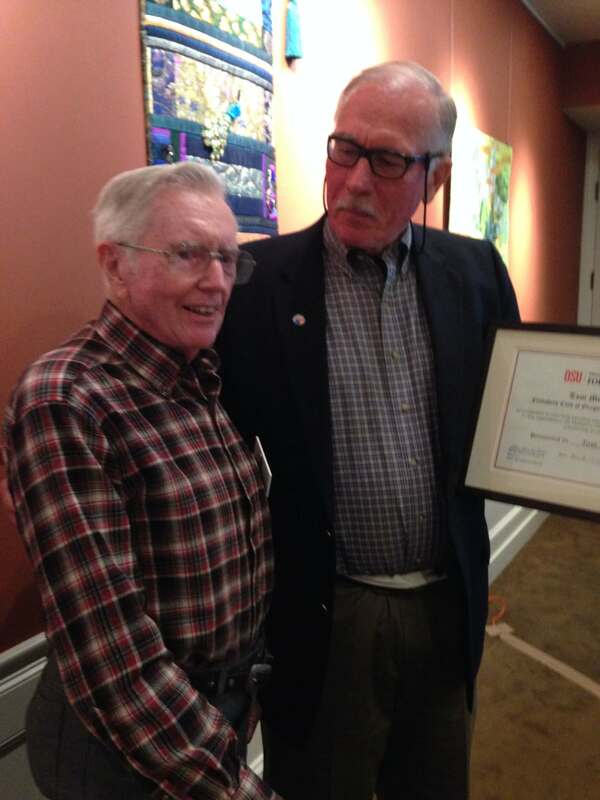 Senator Johnson was moved to introduce two memorials – one for Tom and the other for Oregon Historian-emeritus Lewis McArthur who also passed in 2018 – by Michael McArthur, a former Gilliam County Court Judge who also served with both Tom and Lewis McArthur on the Oregon Geographic Names Board for decades. As drafted, Senator Concurrent Resolution 23 is in Memoriam for Thomas Herbert McAllister Jr, 1926 – 2018. One mistake in my testimony was that I stated that Tom was one of the Founders of the Flyfishers’ Club of Oregon, and while he was involved from the beginning, it was as a reporter who attended and reported on the activities but who was not a member – in accordance with journalistic ethics at the time. These Resolutions will be heard once more so the Committee can pass it and send it on to be heard on the Senate Floor (scheduled for April 11, 2019). They are not controversial measures so I assume they will pass and then be sent to the Senate floor later this month for a vote on the Floor. The FCO could have a presence in the Senate Gallery if you wanted to. Let me know. The Resolution mentions his FCO membership among his many accomplishments. I submitted a short piece compiled by Flyfisher Foundation President John Pyrch about Tom’s work with The Flyfisher Foundation. I also submitted two documents from Tom’s service into the record. I greatly appreciated the materials I received from John Pyrch, Lisa Hansen and Mark Metzdorff. They helped me prepare my remarks and it was an unexpected and special privilege to speak about Tom’s involvement with the Flyfisher’s Club of Oregon. Mark Your Calendars for the 2019 Sandy River Spey Clave! 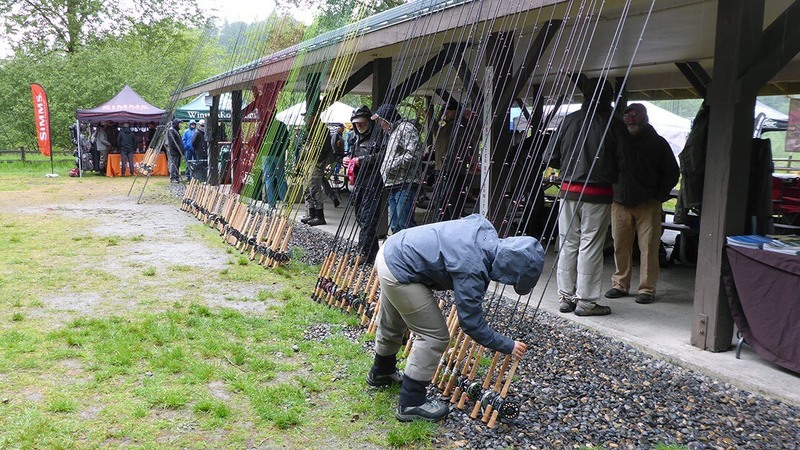 The 19th Annual Sandy River Spey Clave will be held on the picturesque banks of our local river on May 3rd and 4th. Immerse yourself in everything Spey with two full days of demonstrations, casting classes, chances to demo rods, and all the gear you need to up your two-handed casting skills. The program includes spey casting experts like Al Buhr, Mia Sheppard, and Brian Styskal. See you there!